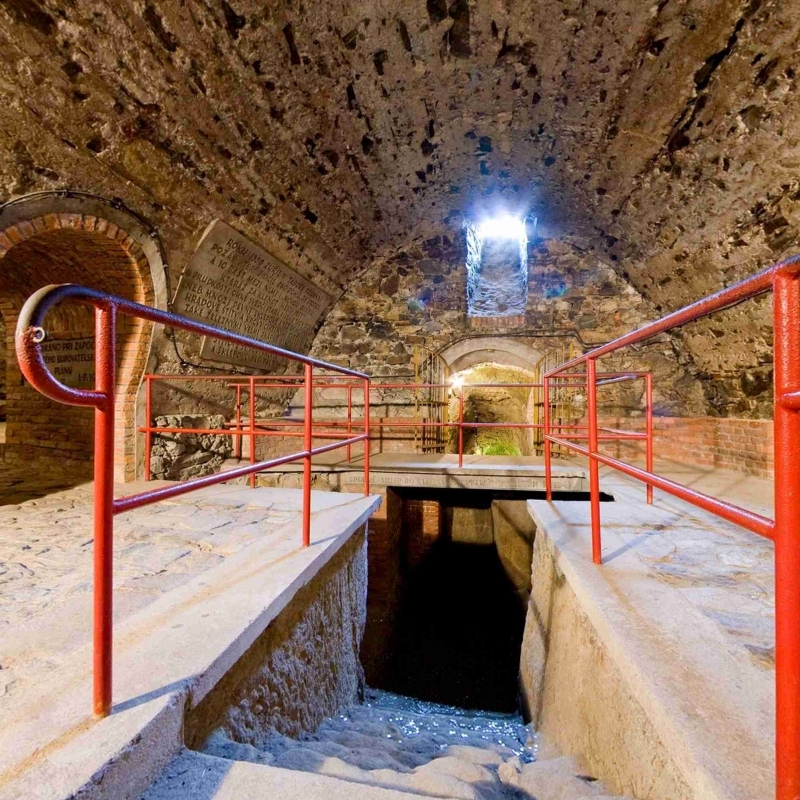 The complex of underground tunnels is Tábor’s tourist highlight. The popular sight had its origin in the 15th century when town citizens started digging cellars under their houses in the Old Town. The cellars were extended by succeeding generations, and eventually many of them were interconnected to create an underground labyrinth, or more accurately a system, because you could hardly get lost there. This fact, however, does not lessen its uniqueness. 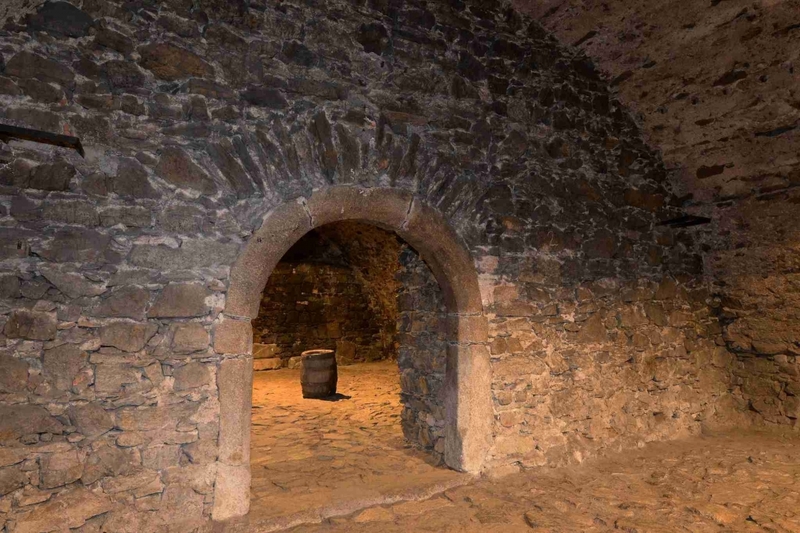 Some cellars were very large; they often had as many as three floors reaching as deep as 16 meters. 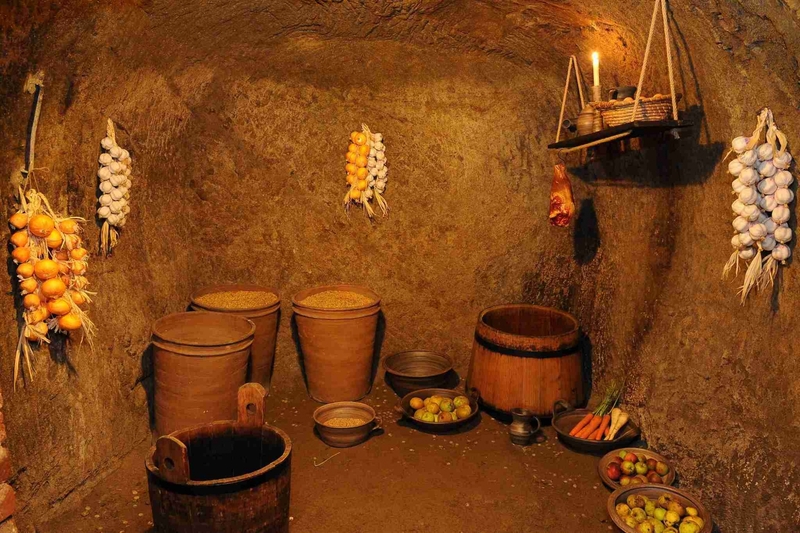 Thanks to a stable, relatively low temperature and high humidity they were used for storing food and especially beer. In case of fire or attack by enemies they were also used as a shelter. A section of the tunnel system (500 meters) running under Žižka Square was opened to the public after the Second World War. 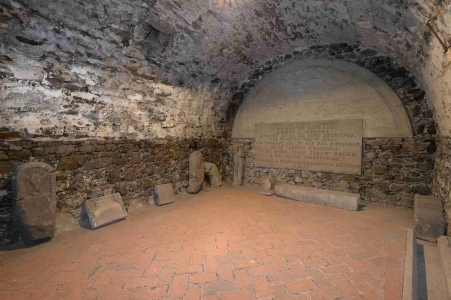 You can enter the underground tunnels from the Hussite Museum. 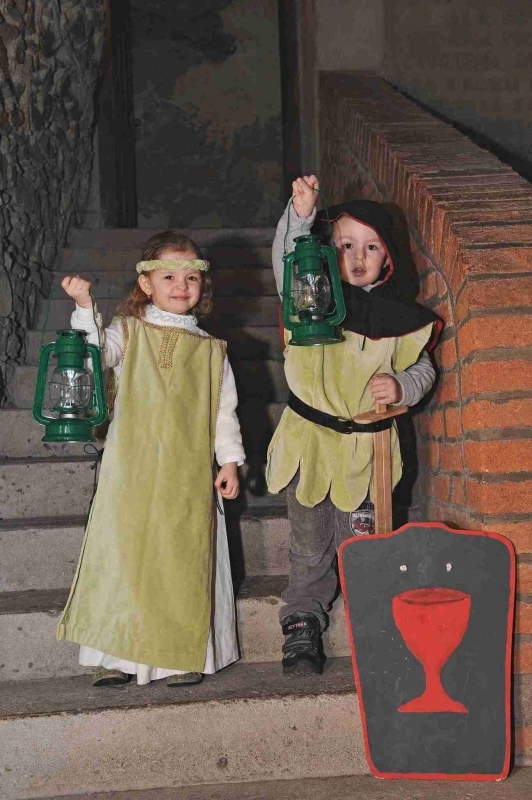 Enhance your visit to the museum with a guide wearing a historical costume! 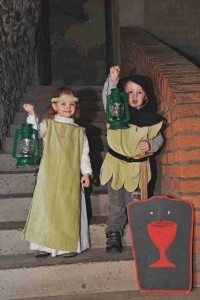 Throughout the year, the museum arranges tours in costumes; you will use a lantern as a light during your journey through the underground maze. The tours are very popular and it is highly recommended to make a reservation well in advance.